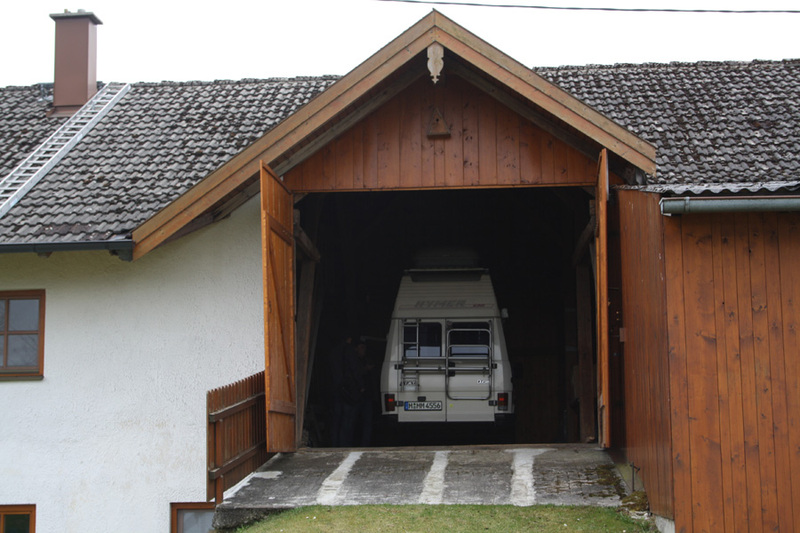 Buying Our Van – Enter the Wagon | Camperissimo! An Ostern geht es an den Bodensee und ich bin auf der Suche nach Tips für Stellplätze etc. Tolle Seite – macht weiter so! Hallo Ingrid, schön dass Du Dich gemeldet hast! Hast Du ein Bild vom WoMo? An hour after becoming the owners, we found time for a quick photo shoot. On the 10th April, 2010, we parted with €5,700 in cash to become the owners of our first ever camper van. Of course, you have to give your van an affectionate nickname, it’s in the rulebook, there’s absolutely no getting round it. It took us a couple of stabs, initially toying with the the more proper Mr F. Ducato Hymer but later opting for Camperissimo. We found the van through an eBay auction, and although we’d been following auctions and second hand posts for a while, this was the first van that we actually went to look at. On the way there I made a point of managing Iva’s expectations: “We definitely won’t buy this one”, I told her, “let’s just use the experience to work out which questions to ask for the future”. With a build-up like that, it had to happen. 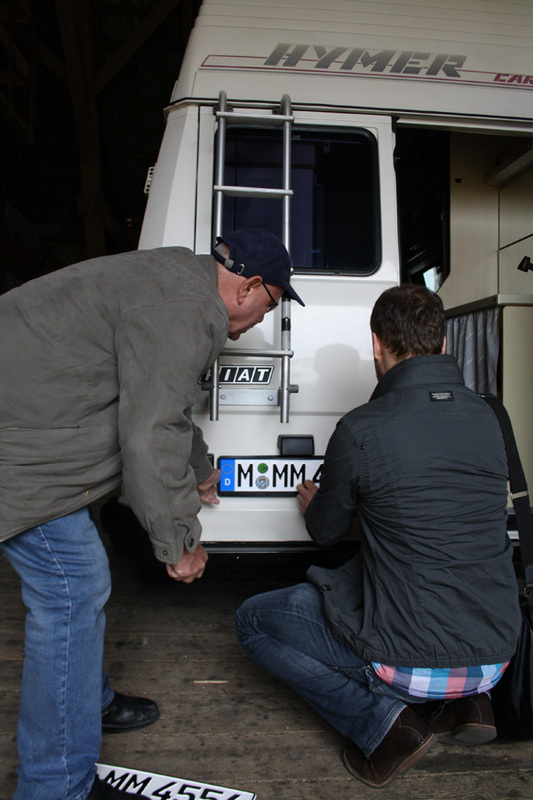 The van was all the way out in Ebersberg to the east of Munich, and we could tell that the current owner was a conscientious man from the off. He insisted on giving us a completely exhaustive tour of the van, from heating to water pumps, from fold-out table to hidden storage. With all of the original manuals relating to the camper perfectly preserved – and later all of the official documentation laid out in immaculate plastic folders, we were fairly sure that the vehicle had been well looked after. This turned out to be completely true. Our good intentions as regards holding off on buying a van came apart so quickly because the van was exactly what we had been looking for: with the main bed separate from the “living area” inside the raised roof, with gas heating which would allow us to try ski trip overnighting, with relatively low mileage and no significant damage or open issues. The MOT was just two months old, and the service history told a happy story. In several respects luck was on our side. We were the first people to see the van and the asking price of €5,700 was so reasonable that we didn’t feel the need to negotiate. We told the owner we would let him know at the latest by the end of the day, and just a few hours later we called him back to confirm our decision. 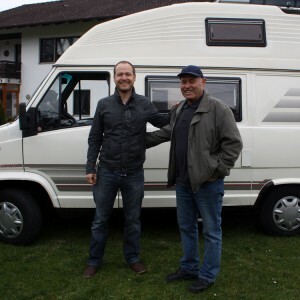 And so it was that – with the money paid and the paperwork taken care of – we picked up the van on the 10th April, 2010 in Ebersberg and drove it back to Munich. For the seller it was quite an emotional moment, he even brought his daughter with him for the handover so she could meet us and say goodbye to the van. I’ll send him a link to the blog tomorrow, if I remember. I’m sure he’ll be reassured to know that we’re taking good care of Camperissimo. 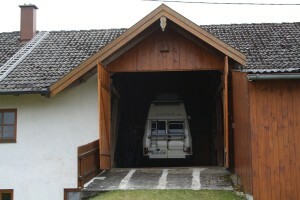 This entry was posted in Fiat Ducato, HYMER Car 3 Camper Van and tagged 2010, ebay, general stuff. Bookmark the permalink.